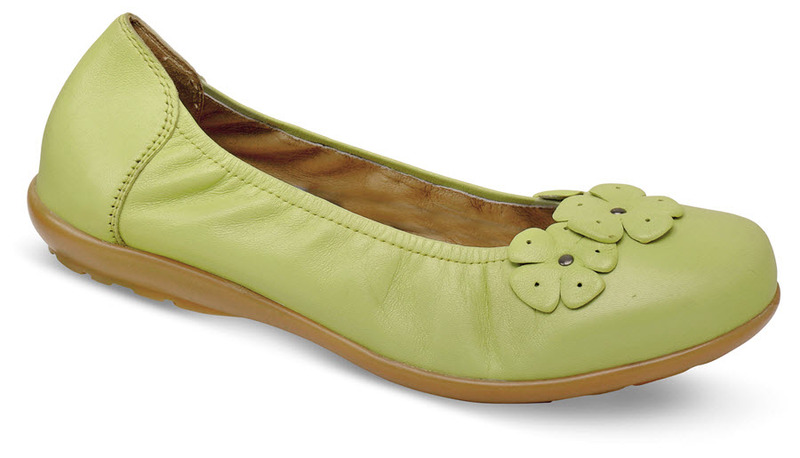 The soft apple green leather uppers of easyB's "Imani" ballet flat are embellished with a graceful floral decoration. Thanks to a removable leather-topped insert, it fits widths from 2E to 4E. Breathing leather linings. Super-flexible rubber sole. Made in U.K. women's sizes to fit U.S. sizes 5, 6–10 and 11 in variable 2V (fits 2E to 4E). ON SALE! Originally $149.95. Limited stock in sizes indicated.